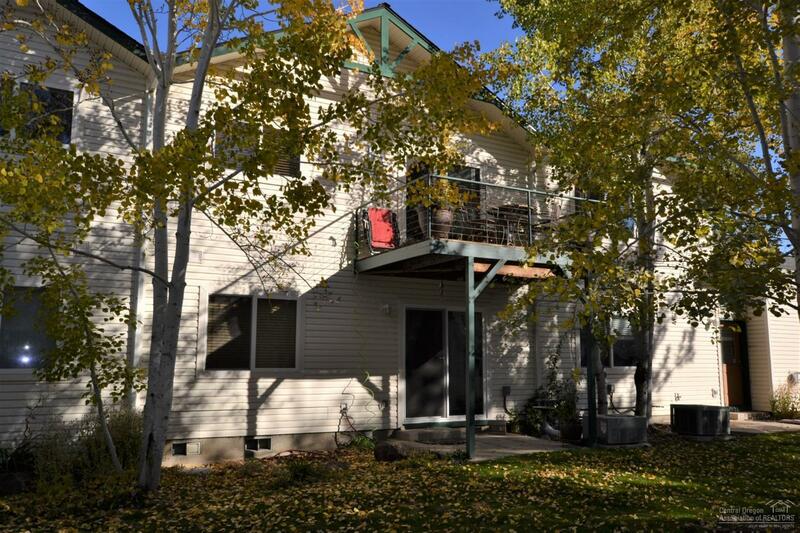 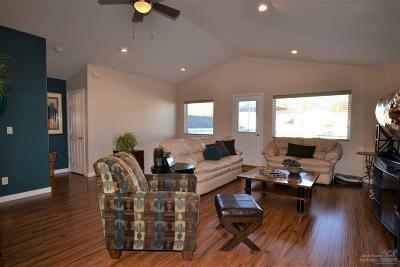 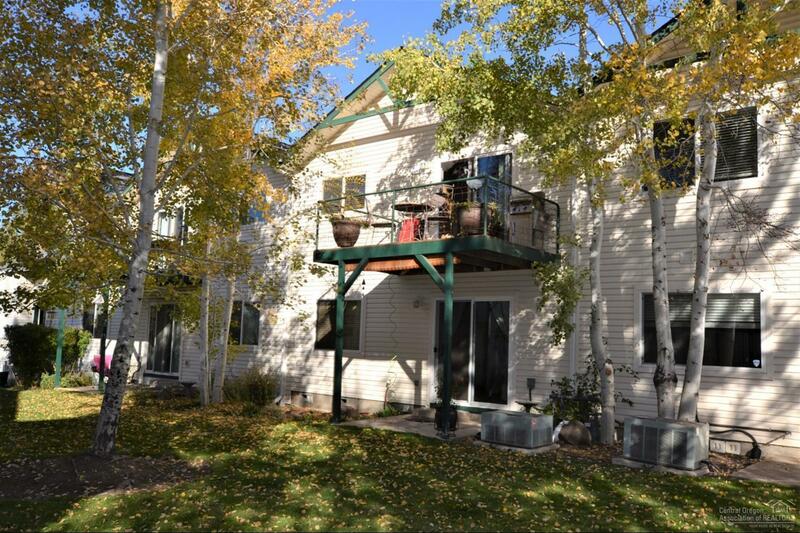 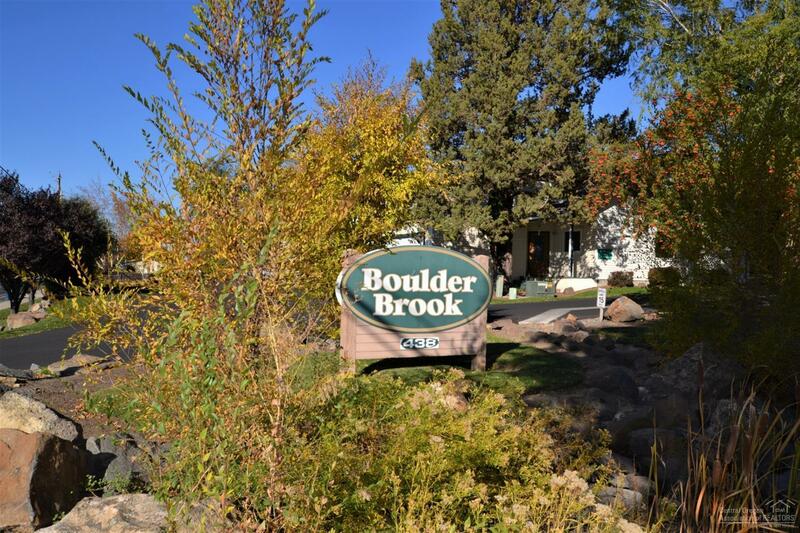 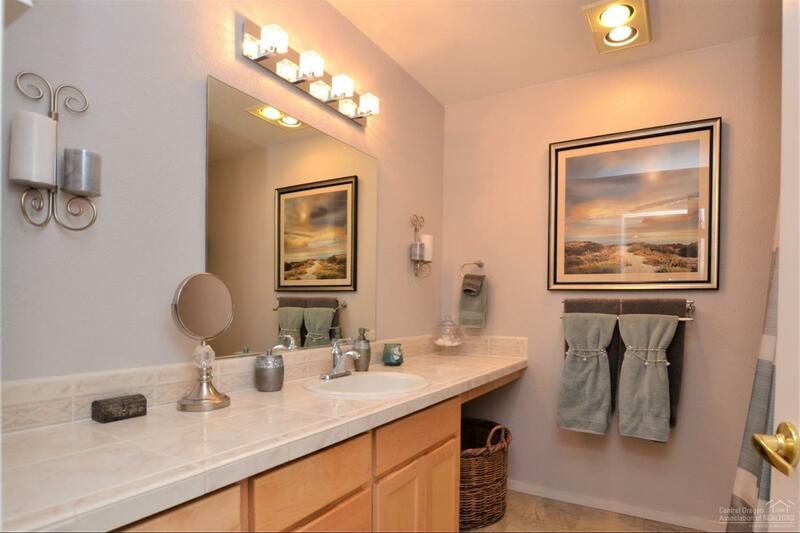 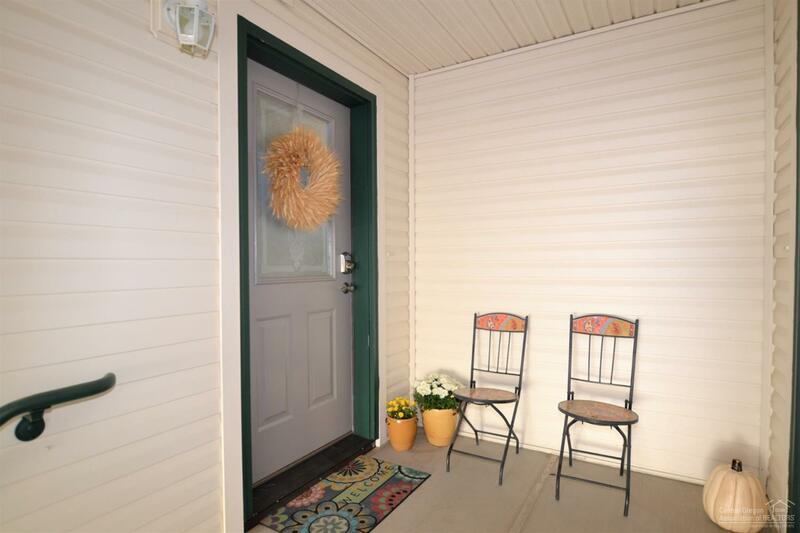 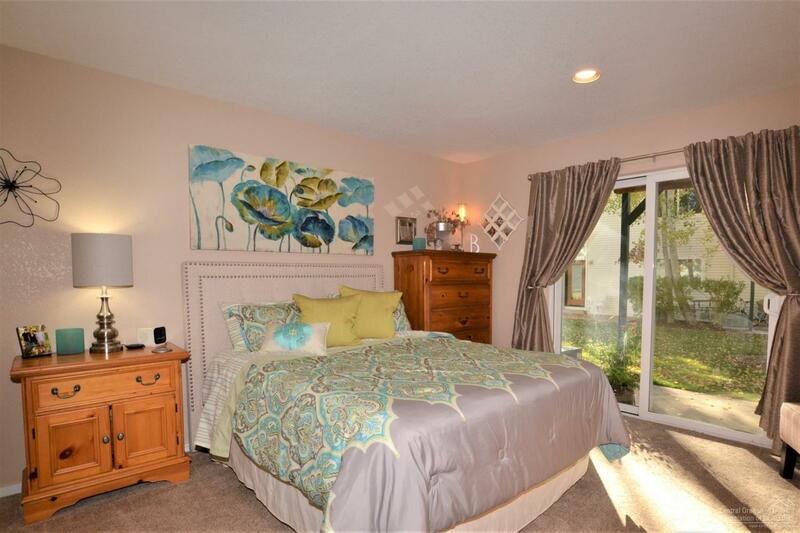 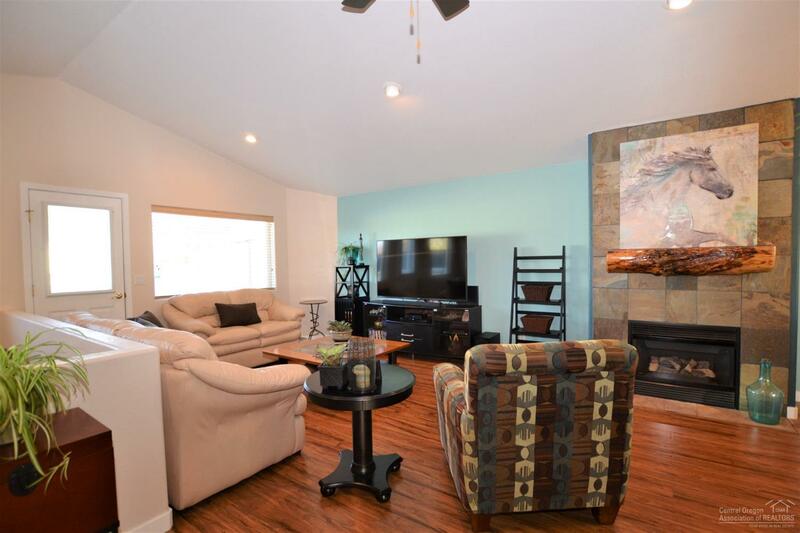 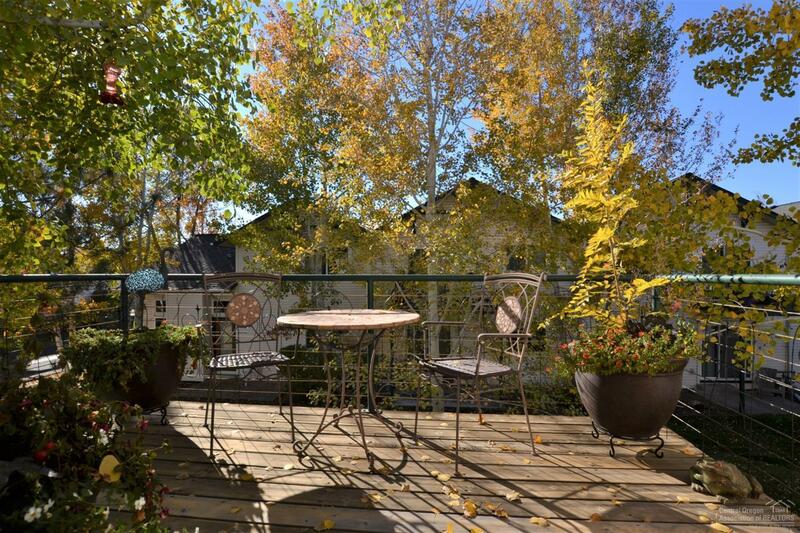 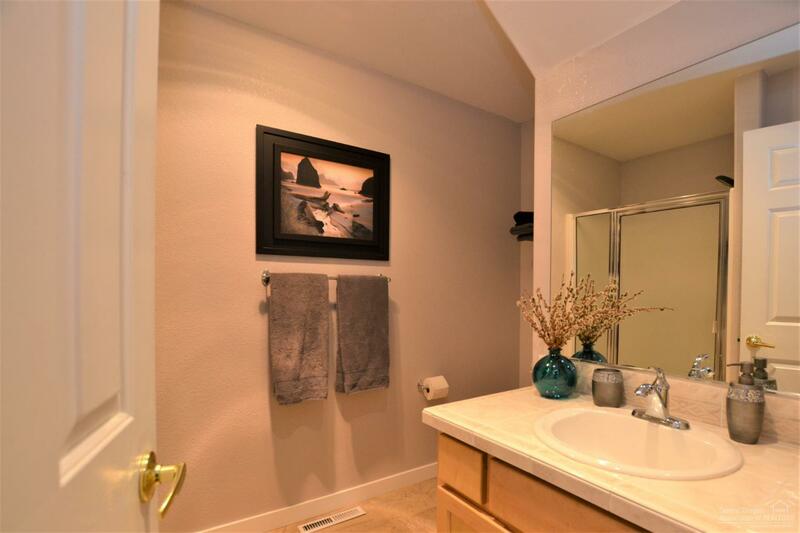 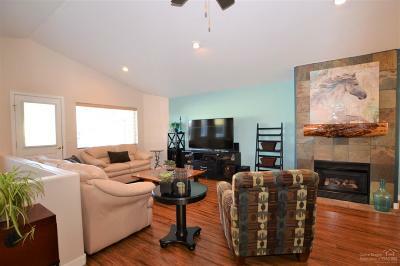 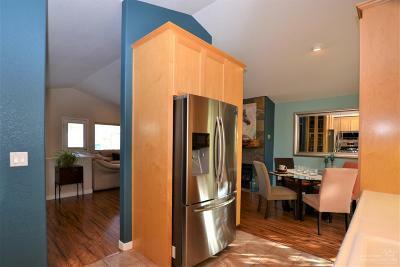 Warm and inviting, this is one of Boulder Brook's finest more private units! 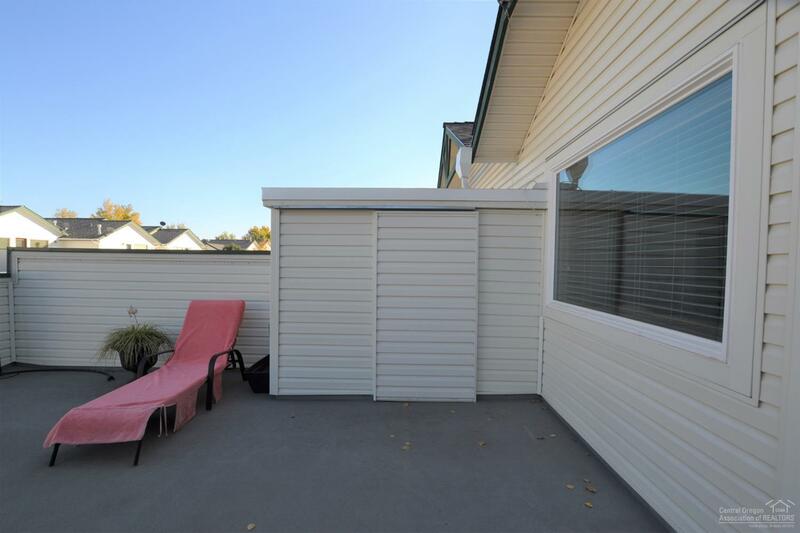 Upstairs you will find the main living area with a large great room featuring a gas fireplace and vaulted ceilings and a door leading to a large roof top deck which is perfect for entertaining, gardening and even has a attached storage shed! 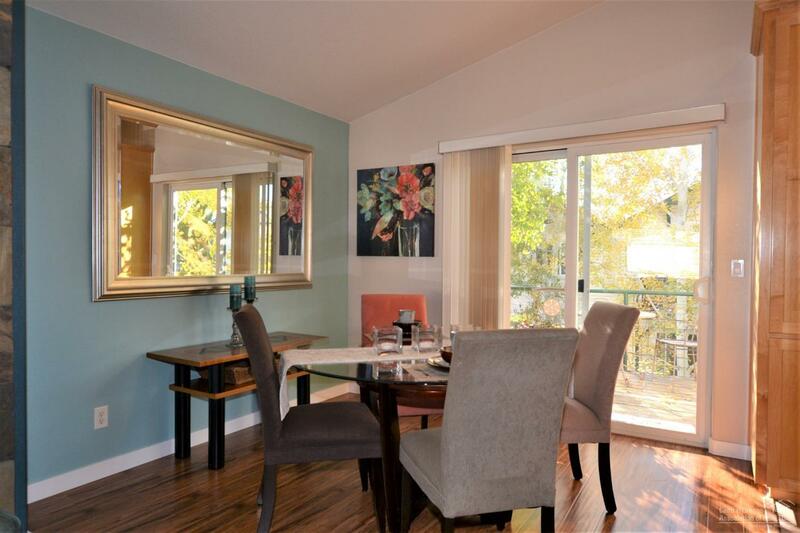 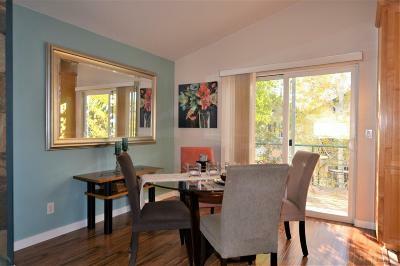 Spacious dining area with sliding glass door to an additional balcony. 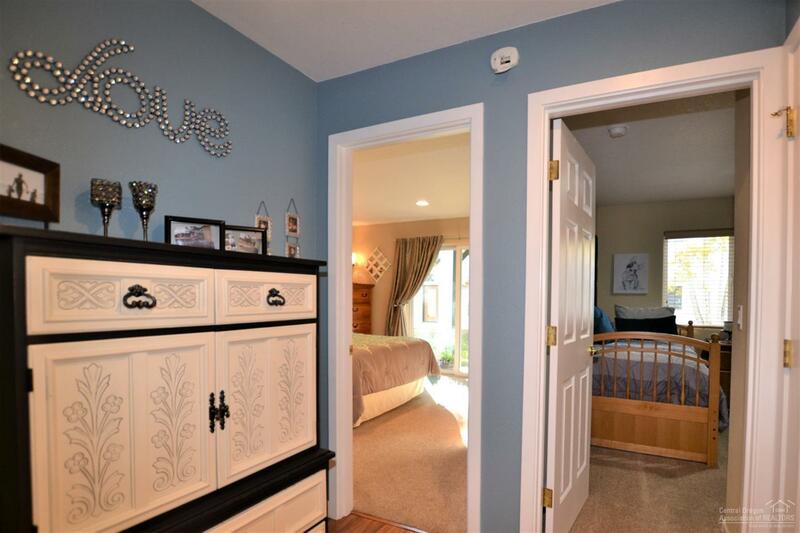 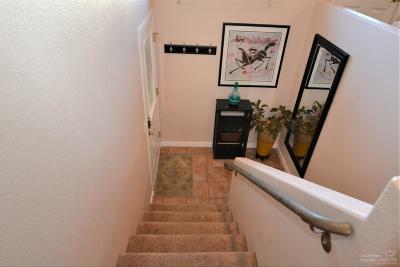 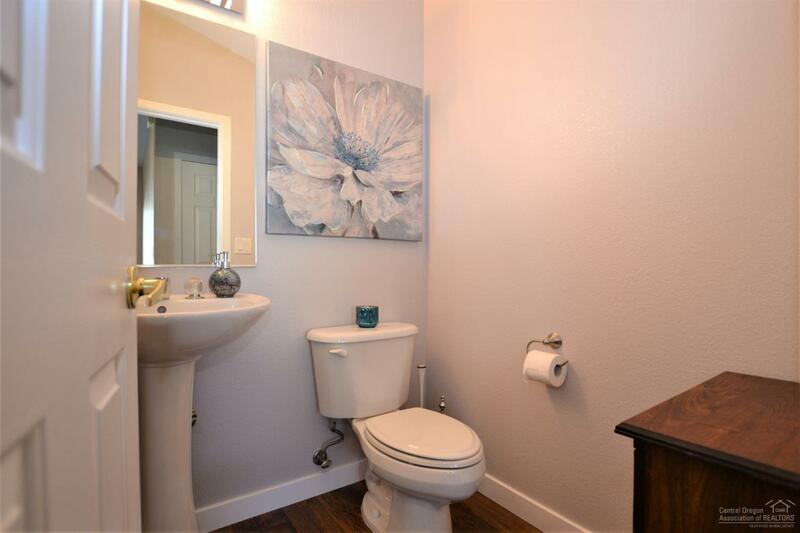 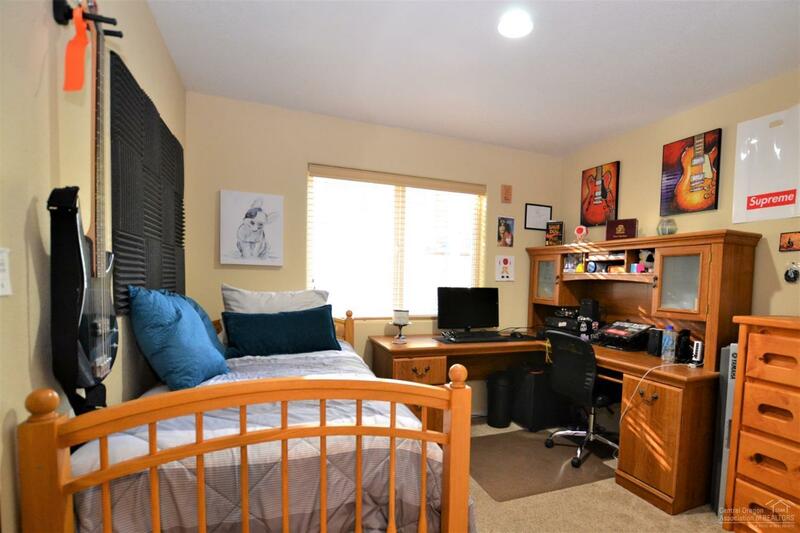 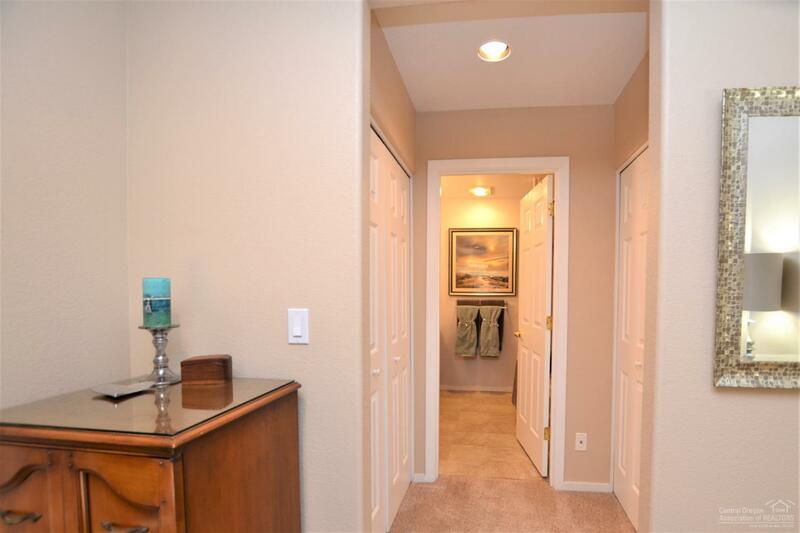 Half bath and large walk-in storage closet. 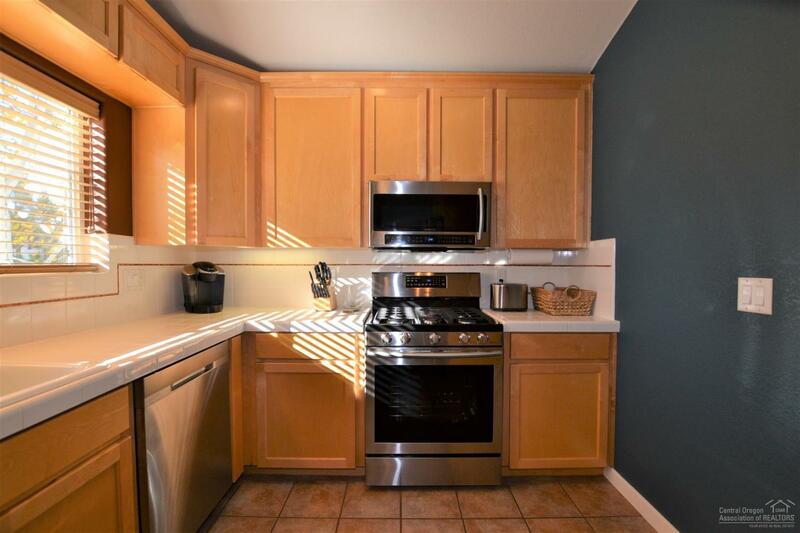 The kitchen includes all brand new Samsung stainless appliances package purchased in July 2018. 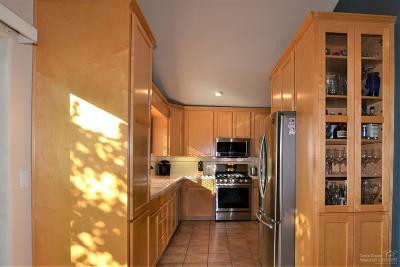 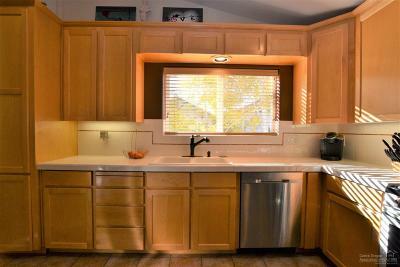 Plenty of counter space for cooking preparation and an abundance of cabinet space. 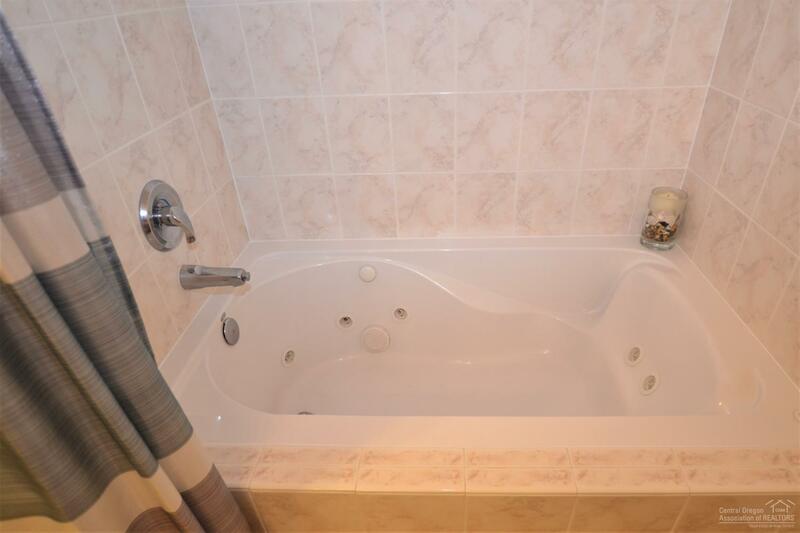 Downstairs you will find a guest bath and bedroom, and the master which highlights a private patio, 2 closets, large vanity and jetted soaking tub! 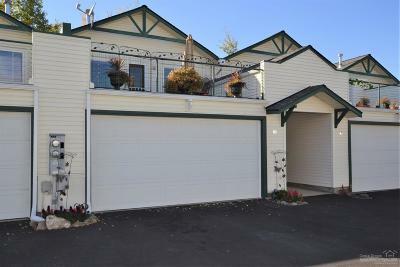 Attached double car garage, natural gas forced air and AC. 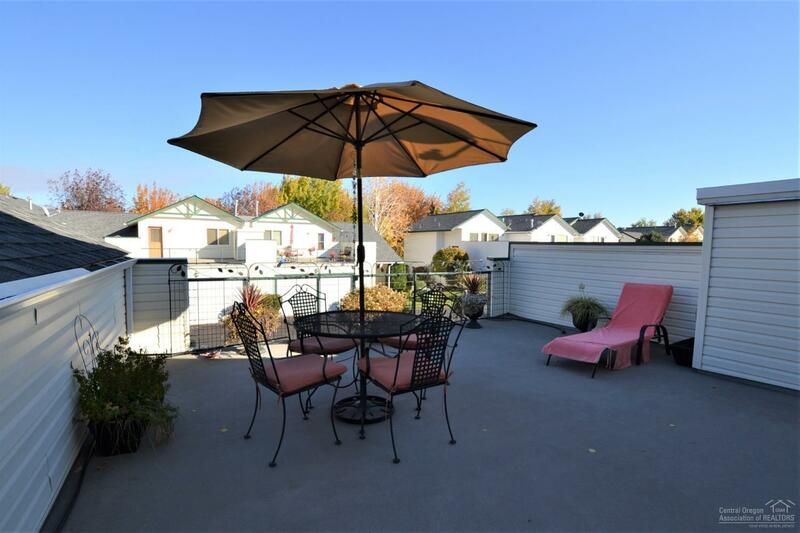 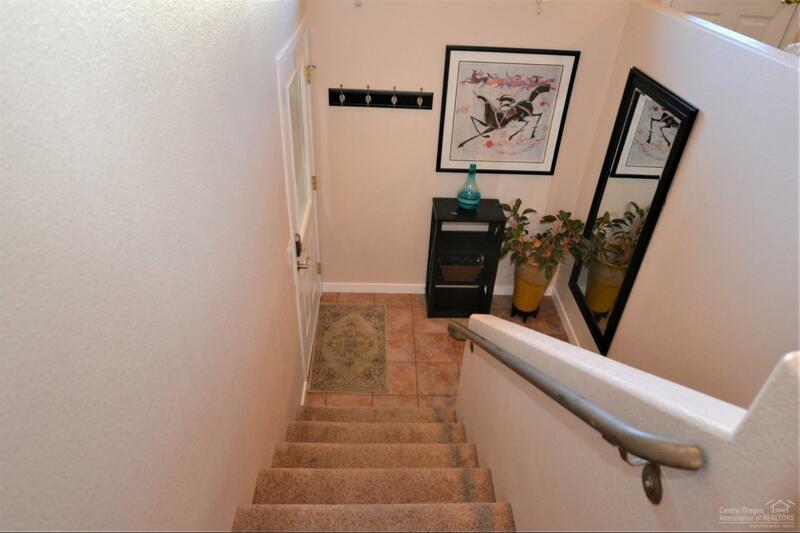 Perfectly located close to the dog park and Redmond's Dry Canyon Trail!